Sporks, apple jar with spoon, pig cooking lid are a few of the items currently displayed at the Destination Japan collection at MOMA. 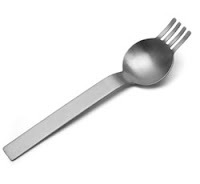 The spork was designed to eliminate waste with disposible chopsticks. The apple jar with spoon has a spoon right in the core of the jar. 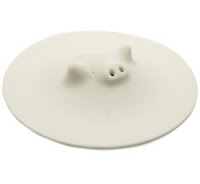 The pig cooking lid releases steam through the snot.